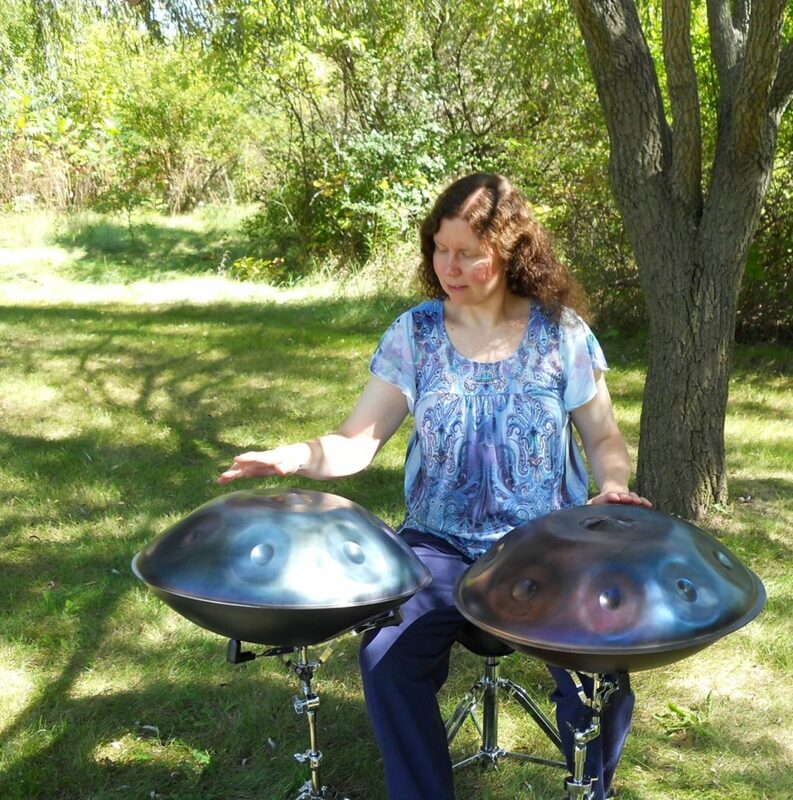 Hand Pan (Hang Drum) Sound Meditation with Kristie V.
Join us for an evening of peaceful meditation with the resonant songs of Harmonic Tonic, a handpan ensemble, on Saturday, March 9th from 7:00 – 8:00 pm. Harmonic Tonic will play a variety of meditative pieces in a continuously flowing session (there will be no talking between pieces). The ensemble will play duets, trios, solos, plus a few songs that may incorporate the soft sounds of a drum beat. The handpan is a steel instrument played with the hands. Sounding similar to a harp, its music is very soothing and relaxing and goes well with meditation. Before the start of the session, there will be a brief introduction to the handpan instruments. Participants are encouraged to sit, lay on the floor, or even stand – whichever is most comfortable. If you feel you would like to move around or dance softly, this is okay too! Please bring your own cushion, mat, blanket, pillow, or whatever you need to be completely comfortable.